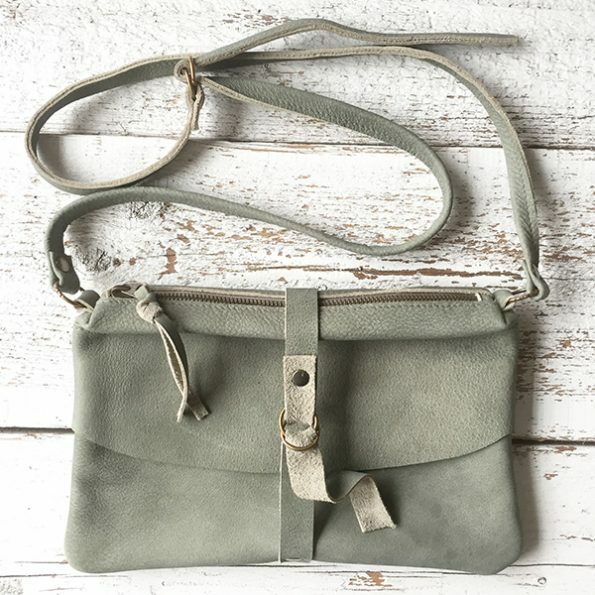 NUM is made of supple dusty green colored cowhide with a soft feel. With her size of 29 x 20.5 cm she’s a perfect inbetween size bag for everyday use. NUM is sturdy but feminine and very practical in use. She loves it when you take her out to a festival or party but she’s also very handy if you don’t want to carry around a huge bag but still want to bring more than the bare minimum. The metal zipper keeps al your stuff securely inside and the adjustable strap allows you to carry your NUM any way you prefer. Inside you’ll find a zippered leather pocket to keep all your small items together. As time passes the leather will develop its own character, making NUM even more beautiful. Special piece! only one available.